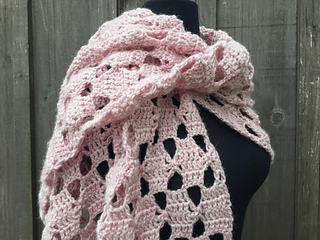 For me, late summer and early spring are the best seasons for shawls! 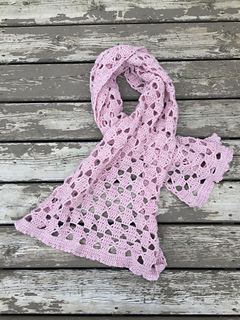 It is during these uncertain temperatures that it is wonderful to be able to grab a shawl or wrap as you head out the door or head out into the back yard with a good book and cup of tea. 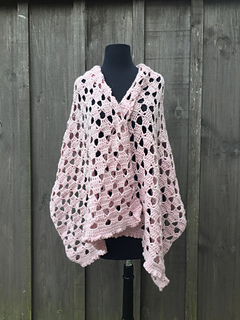 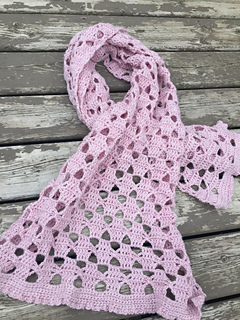 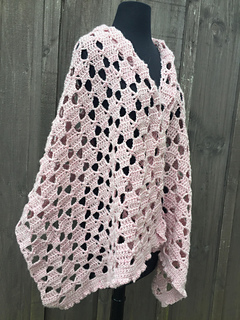 Weather you are hoping to create a beautiful shawl or wrap for yourself, or a looking for a prayer shawl for a friend of loved one, you will love the versatility of the Touch of Blush Shawl. 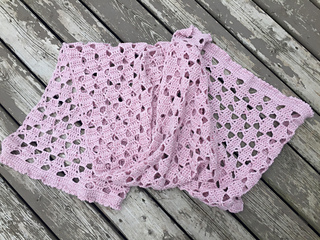 Finished Size: Approximately 63 x 24 inches. 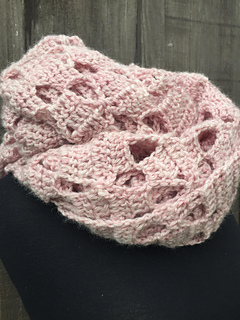 Yarn: 2 Balls of Touch of Alpaca™ Bonus Bundle® by Lion Brand® (90% Acrylic, 10% Alpaca; 7 oz, 200 g; 415 yds, 380 m). 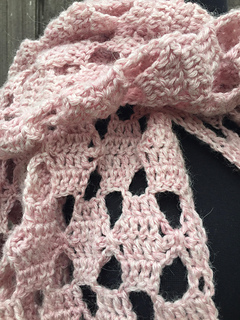 Worsted Weight (4). 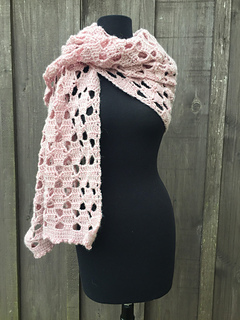 Colour: Blush. 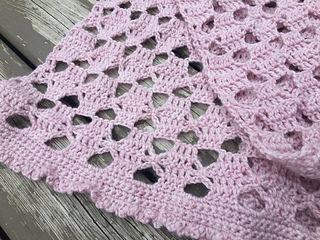 Ch 3 at beg of row always counts as a dc stitch.